Ornamental shrub for well-drained sites coastal or inland. Outstanding cut flower and is grown commerically. Makes and excellent sceen or hedge or speciman shrub. 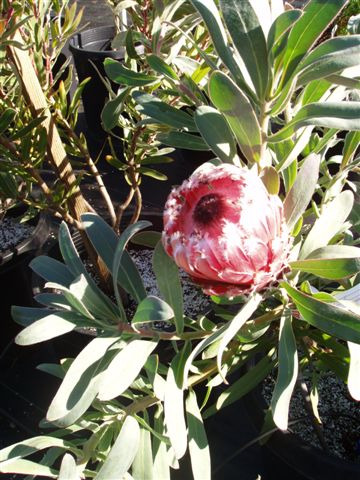 Protea magnifica x Protea compacta hybrid.